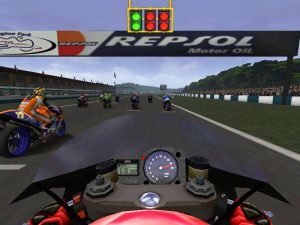 Little by little, motorcycle racing games are appearing on the PC, and unlike Microsoft’s Motocross Madness or MotoRacer, GP 500 is squarely aimed at pleasing the simulation crowd. 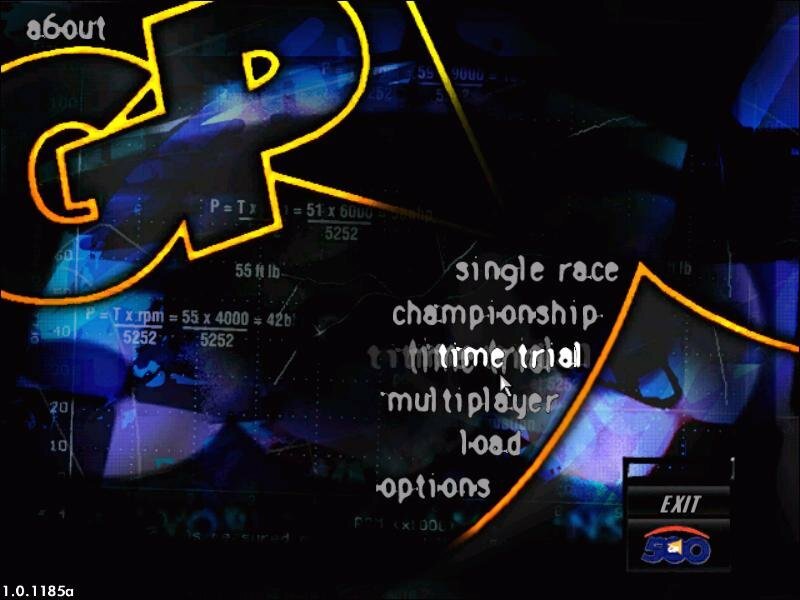 Microprose is no stranger to offering realism in their racing games. 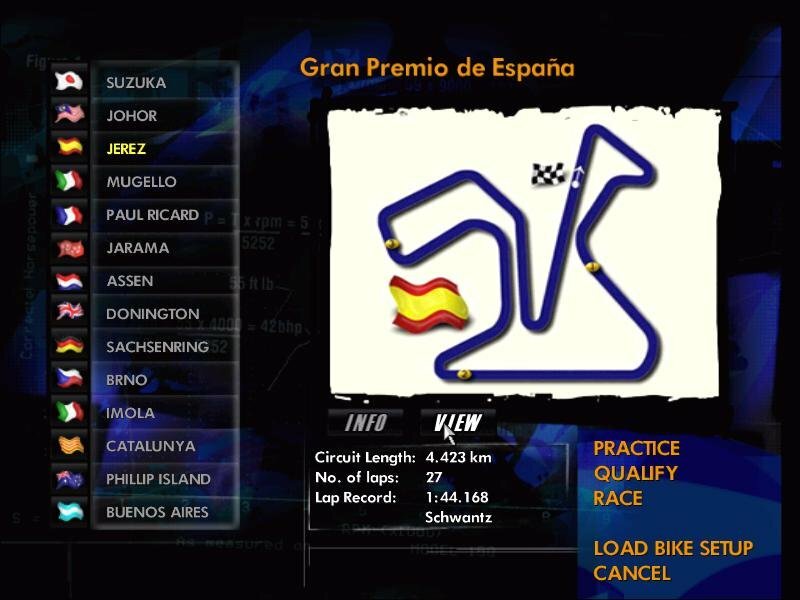 Not only is GP 500 a solid professional bike racing sim, but the added FIM license (Fédération Internationale de Motocyclisme) lets you race through fourteen accurate real-life tracks build to painstaking detail. Even before starting a race, GP 500 offers one of the cleanest customizable interfaces found in a racing sim. 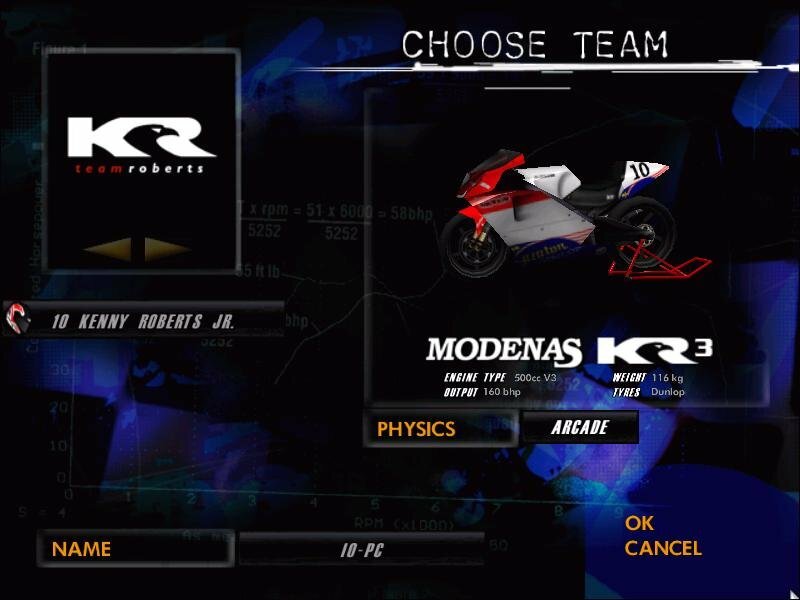 The video, sound and controls options, driving aids, the number and skill level of competitors, laps, visual details… everything is there for the tinkering, with the notable absence of weather parameters. 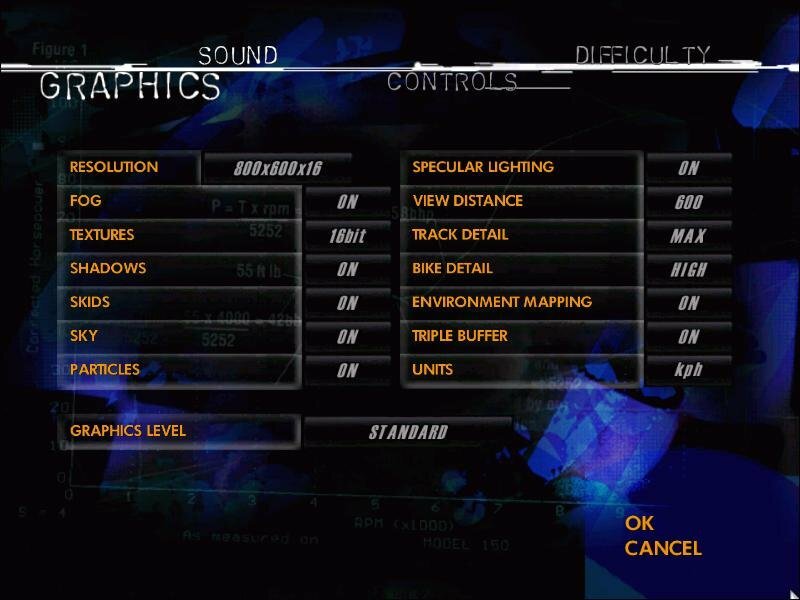 Once in the saddle, the first thing that is obvious is the general attention to detail. 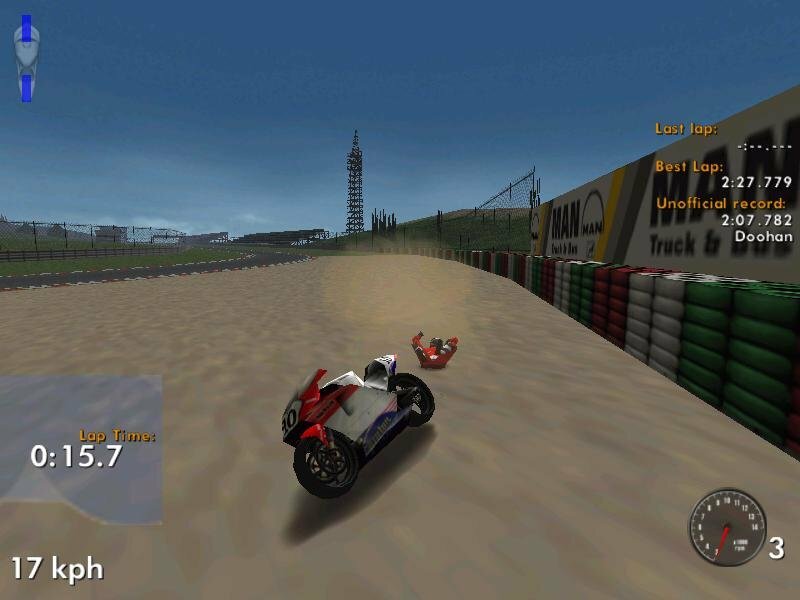 The textures are all appropriate for each material (sand, gravel, grass). 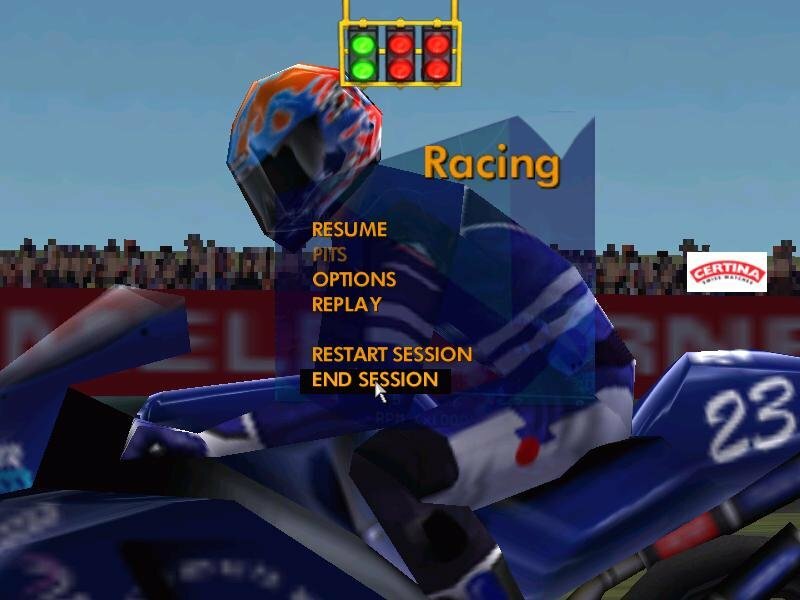 Similarly, the effects are crying with authenticity; the tire marks left on the road seem to feel the burnt rubber, while the sparks flying off your bike as it drags along the asphalt after a crash simply looks cool. 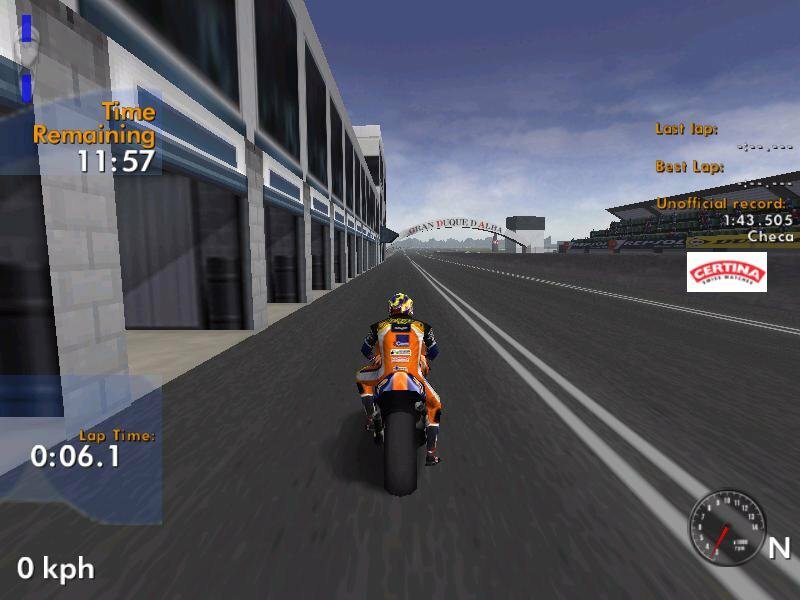 Likewise, your driver will tumble along like a ragdoll once you lose control of your bike – a mistake that is all too easy to make once you stray off the road and lose anything resembling tire grip. 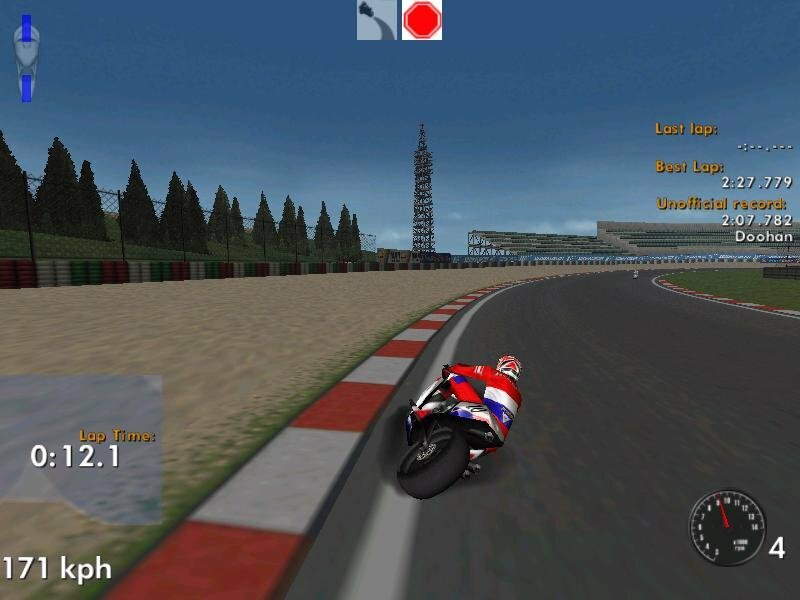 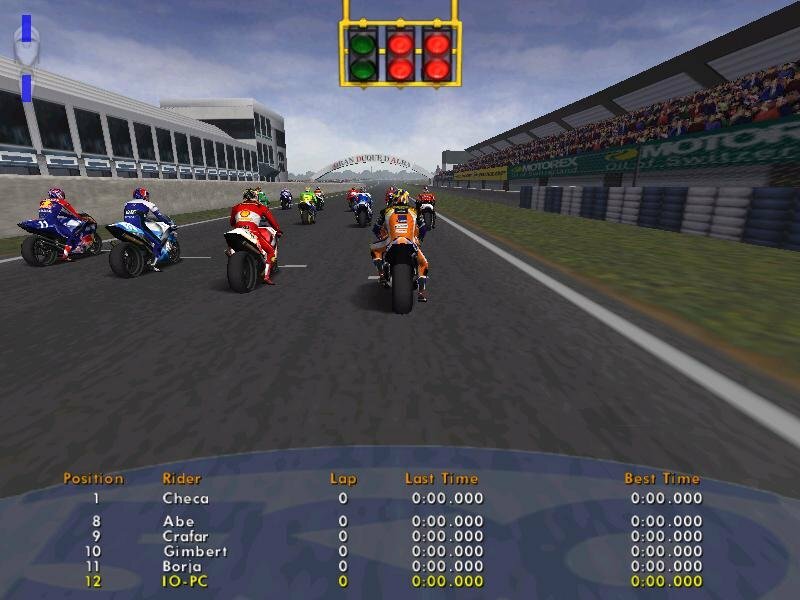 An arcade mode is on offer for novices, but even then you’ll have to spend a few hours just getting a feel for your bike in the single-player practice modes (having a reliable racing wheel controller is a must, as the keyboard controls can’t allow the kind of fine-tuning you need to have in this sim). 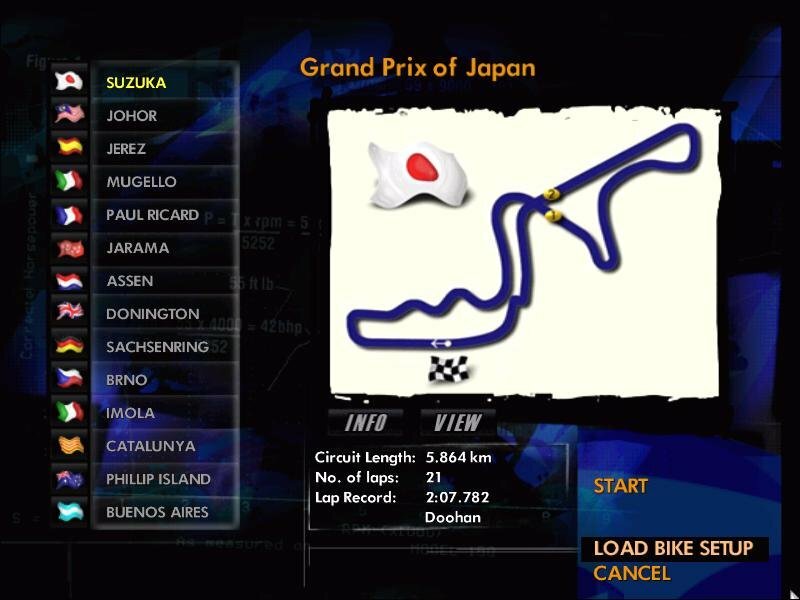 Even on the arcade mode, the competition in GP 500 is fierce, and will fight dearly for every inch of road. 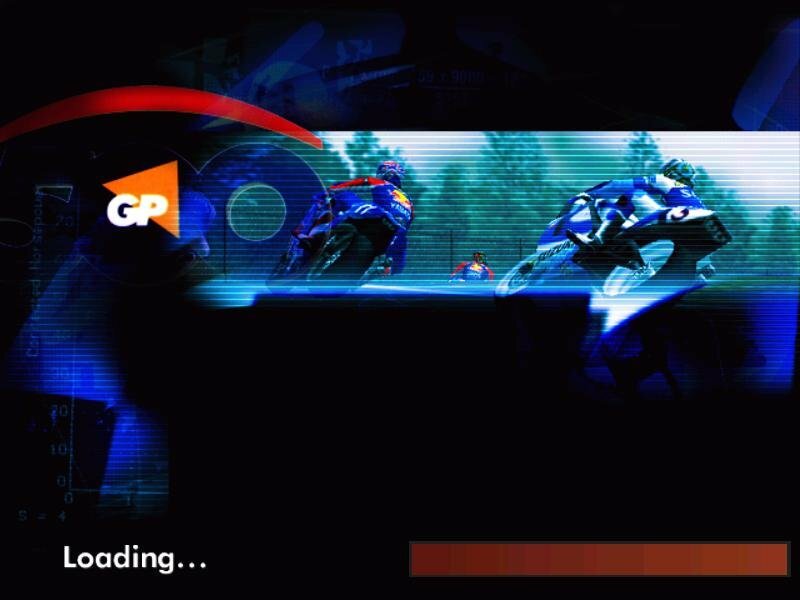 The one area where GP 500 is lacking is the sound department, with rather unconvincing engine and crashing sounds.